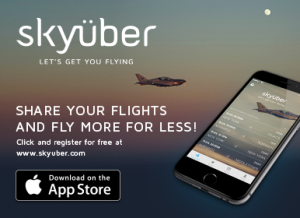 This year Skyüber are offering AeroExpo UK pilots a free, easy to use service connecting private pilots who have empty seats, with people who want to fly, making flying affordable under a cost-sharing model. 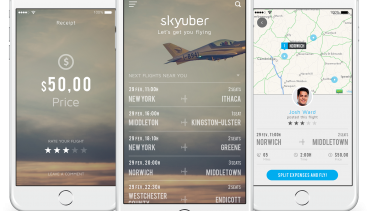 Skyüber’s super easy app meets both the needs of pilots and riders by providing an easy-to-use service: pilots provide their flights and riders can browse and choose flights nearby. There will be NO COMISSION to all incoming and outgoing flights, so Pilots will receive 100% of what the Rider pays per seat. Register at www.skyuber.com as a pilot and complete your pilot and aircraft profiles. Share your incoming and outgoing flights to AeroExpo UK(Sywell Aerodrome) with the number of empty seats you have available. If you would like to be a passenger arriving to AeroExpo UK in a private flight, simply register as a Rider and create a Flight Alert (www.skyuber.com/rider/flight/alerts) with destination Sywell to receive notifications of flights available and book a seat with a private pilot. All Skyüber flights are private and done under cost-sharing between private individuals. These are not commercial flights. Share your flights and fly more for less!